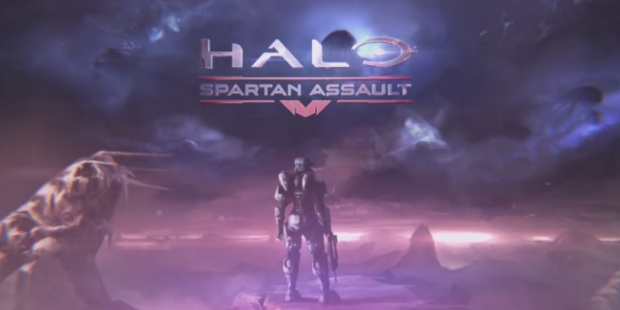 Halo: Spartan Assault was developed by Vanguard Games and published by Microsoft Studios. It was released December 22, 2013, on the Xbox One for $14.99. An Xbox One copy was provided for review purposes. Halo. It’s a name that carries a lot of weight in the gaming world. The series has spawned countless hits and established itself as a legendary franchise that will no doubt be around for another decade. Now, Vanguard Games has stepped up to the plate to deliver a fresh take on the Halo series. Ditching the standard FPS formula, we are instead treated to a top down view of the universe as a twin-stick shooter. 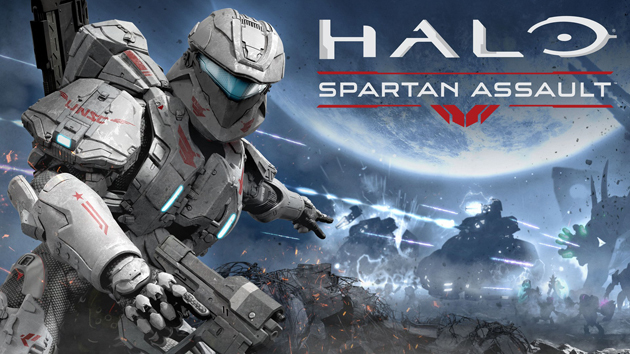 With this new style comes new Spartan protagonists, Sarah Palmer and her partner Davis, who you control across various battles against covenant forces throughout the galaxy. The Halo universe is full of stories to tell and it’s great to see developers able to step away from Master Chief, but still deliver a fast-paced, action-oriented Halo title. With that in mind, Halo: Spartan Assault is fun, and refreshing to play. It features a lengthy campaign, running players through dozens of missions spanning the time between Halo 3 and 4, and with the upgrade from smartphone to console it packs a new multiplayer mode where 2 players fight together against hordes of Flood in a desperate attempt to survive. Unfortunately, alongside everything Halo: Spartan Assault does well, it struggles to overcome its own glaring weaknesses. Peggle 2 was developed by PopCap Games and published by Electronic Arts. It was released December 8, 2013, on the Xbox One for $11.99. A copy was provided for review purposes. With the follow-up to its 2009 smash hit Peggle, PopCap Games has delivered a quality game that not only challenges the player, but provides hours of entertainment at the same time. Fans of the original will be happy to know the development team didn’t tinker with what was already a great formula. Instead, PopCap has expanded upon its existing efforts, and by doing so, has made Peggle 2 an extremely fun and addictive title for the Xbox One. With over 120 levels to play through, Peggle 2 has tons of content to offer eager peg-smashers. PopCap has also introduced new masters that enhance the experience by drastically altering the way the game is played, making each master feel unique. A fun and simple online mode has also been added to the mix, allowing for players to quickly jump into games and compete against others, trying to achieve the highest score with a 10-ball limit set in place. The ease with which you drop into matches is the biggest draw, and is something that’s seen throughout the game, as accessing content is generally fast and snappy. Far Cry 3: Blood Dragon was developed by Ubisoft Montreal and published by Ubisoft. It was released May 1, 2013 for 1200 MSP. A copy was provided for review purposes. Far Cry 3: Blood Dragon is an interesting game. Far Cry 3 was a huge success for Ubisoft so it only seemed natural for some sort of DLC to come our way. Instead what we have is a standalone game that is radically different in design and tone, a game that can stand on its own two feet even if a player had no prior knowledge of anything Far Cry. That is the true beauty of this game. Far Cry 3: Blood Dragon shares no story or setting from the original game. Veteran players will be able to jump in and play through this crazy world with familiar controls and elements from previous Far Cry games, while newcomers can pick it up and not be worried about having no prior knowledge of events from other games. Far Cry 3: Blood Dragon takes place in an alternate future where the land has been ravaged by war. With that in mind, you may think this game is a serious, post apocalyptic adventure. That is far from the truth. 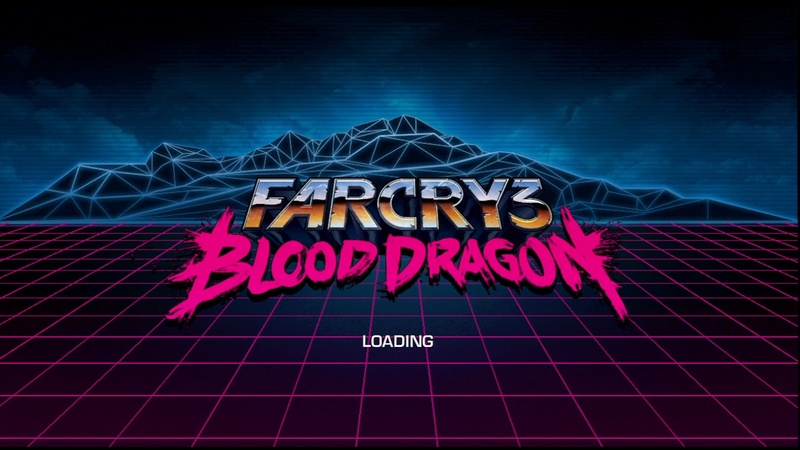 Blood Dragon is a parody of all those great action movies from the 70’s and 80’s. You play as a cybernetic commando who engages in outrageous combat, makes crude jokes as he takes down his enemies and fires gigantic guns with reckless abandon. Cutscenes are done with an extremely retro 8-bit vibe, voice actors sound so macho and tough that it is hard to take anything seriously and the music sounds like something from 30 years ago that went out of style long before this game was conceived. All these things come together however to form one of the craziest, most enjoyable experiences we have seen on the XBLA platform. Guardians of Middle Earth was developed by Monolith Productions and published by WB Games. It was released December 5, 2012 for 1200 MSP. A copy was provided for review purposes. The Multiplayer Online Battle Arena, or MOBA for short, is not a genre typically associated with the Xbox 360. Sure there have been a few good attempts to bring this style of game to XBLA, titles such as Awesomenauts or Monday Night Combat, but no company has found a runaway success, a game so good, and so well loved by the fans, that it could sit up there with the big PC titles like League of Legends and DotA. The people over at Monolith have taken it upon themselves to finally break the mold, and bring a deep MOBA experience to console. 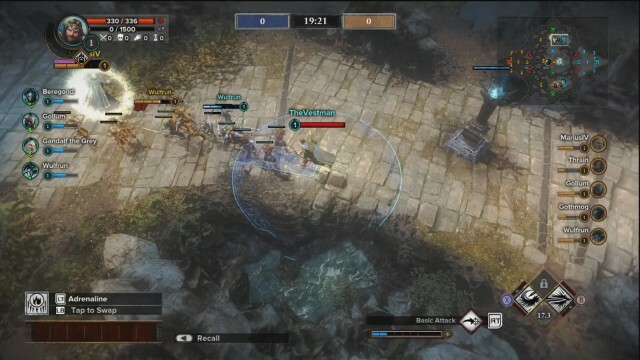 Guardians of Middle Earth does exactly that, bringing one of the best MOBA experiences you can find to XBLA, showing that a console can be home to this genre just as well as any PC. The second part of Joe Danger 2: The Movies, is the Deleted Scenes section. These levels are a little crazier, often involving strange vehicles, odd backrounds and weird characters. There also happens to be additional Pro Medals here. These ones tend to be a little harder to acquire, so be patient, it may take a few tries for some of those later medals. Remember that you must complete the entire level, and complete all objectives at once to obtain the Pro Medal. Below are videos showing you how to do that very thing! Joe Danger 2: The Movies is split into two major sections. The first section, The Movies, is where you will find half of the games Pro Medals. Below are videos showing how to obtain each Pro Medal in the 6 sections of The Movies mode. Remember that in order to obtain each Pro Medal, the player must complete all the objectives on the level without failing.